Roadmapping is the promise we make to solving clients problems. For this reason alone they are a critical part of our overall process and woven into every one of our projects. The ideal product roadmap is a commitment to solving a problem. Unfortunately, product roadmaps have become the dumping grounds of product management. Too often they are just a collection of dates and features. 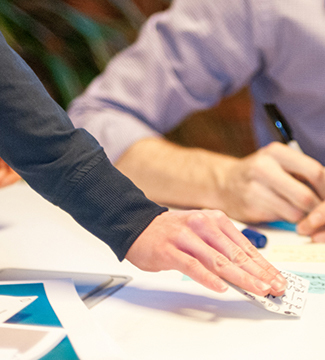 Creating and maintaining a product roadmap helps teams build the right product for their target audience by focusing on value creation for the customer. It helps uncover user needs, appropriately solve for those needs, prioritize what to build and when, and maintain an intimate link between product direction and business objectives. 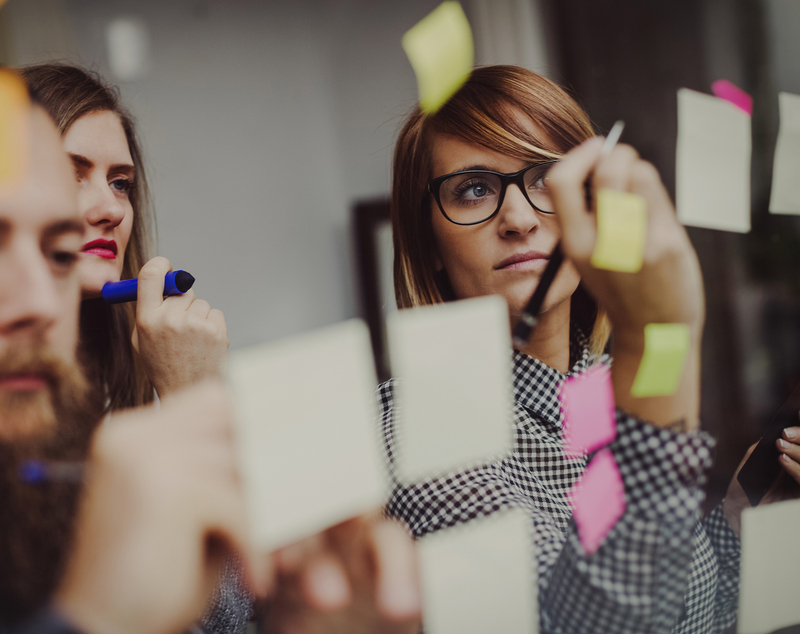 The roadmap is not only a powerful tool for product prioritization and planning, but also an essential component for capturing collective buy-in and keeping stakeholders in the loop. Learning more about your users, their current challenges, and what they might expect from a solution is the foundation to creating a useful product roadmap. We’ll work together to define critical details about your audience and the ecosystem in which they operate. Drawing upon what we learn from our contextual research we will work to collectively shape the product vision. This step involves aligning the team and other stakeholders at your company so we can all progress towards mutually defined goals share the big vision about where we’re going. Once the vision is set, our teams can deconstruct it into key business objectives that define success for your product. Creating these objectives will make it clearer how each interaction a user has with your product will translate back to your business goals and bottom-line. 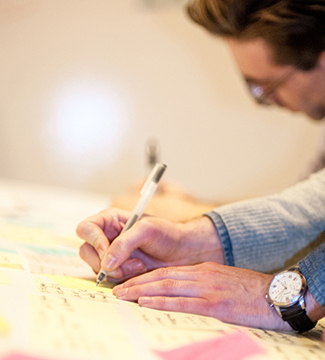 Clarifying user needs is the most important part of the roadmapping process. We accomplish this by creating a comprehensive understanding of their “Jobs to be Done” and fully defining every aspect of a user’s experience. This allows us to understand the critical path user work flows while recognizing any gaps so we can ultimately build a product that is immediately valuable and designed to grow with the user. With our detailed understanding of user needs we can very effectively develop the right solutions. Here we’ll design and test multiple solutions to make sure your product is truly helping users accomplish their goals. User testing is a critical component here for validating or invalidating potential features. The output is a roadmap of themes with proposed features connected to user types, business objectives, and urgency to build. A roadmap focuses the people and process on what’s the best outcome for the customer. 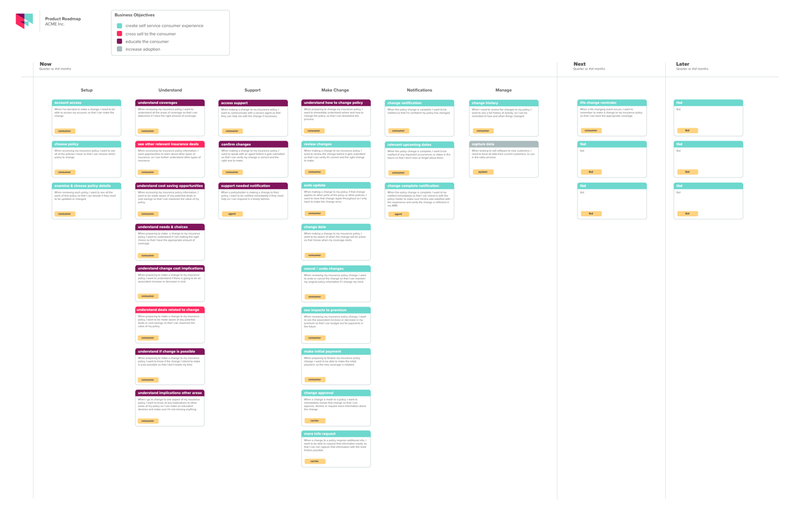 So how does a roadmap help you deliver on the product work? The biggest challenge to getting things done is knowing WHAT to get done — prioritization.